Sizes: XS 36" S 38" M 41" L 44" XL 47" 2XL 50" 3XL 53"
Inner storm flap with full front zip and chin guard. Zip chest pocket. Inside pocket. Adjustable shock cord hem. 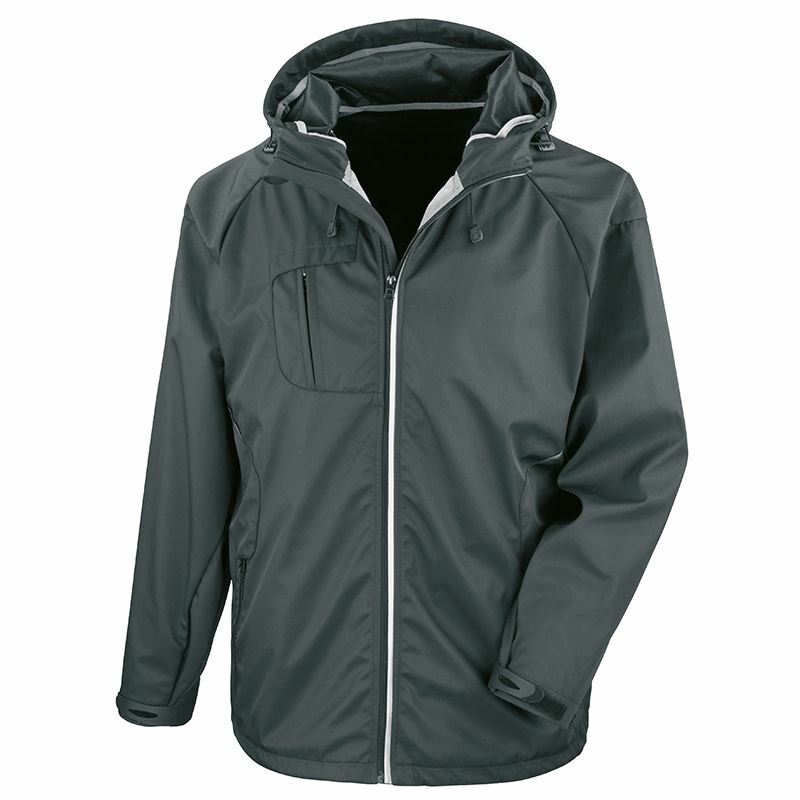 Hood with double drawcord and tear release adjusters. Reflective strip detailing. Neoprene inner cuff. Bound inner seam detail. 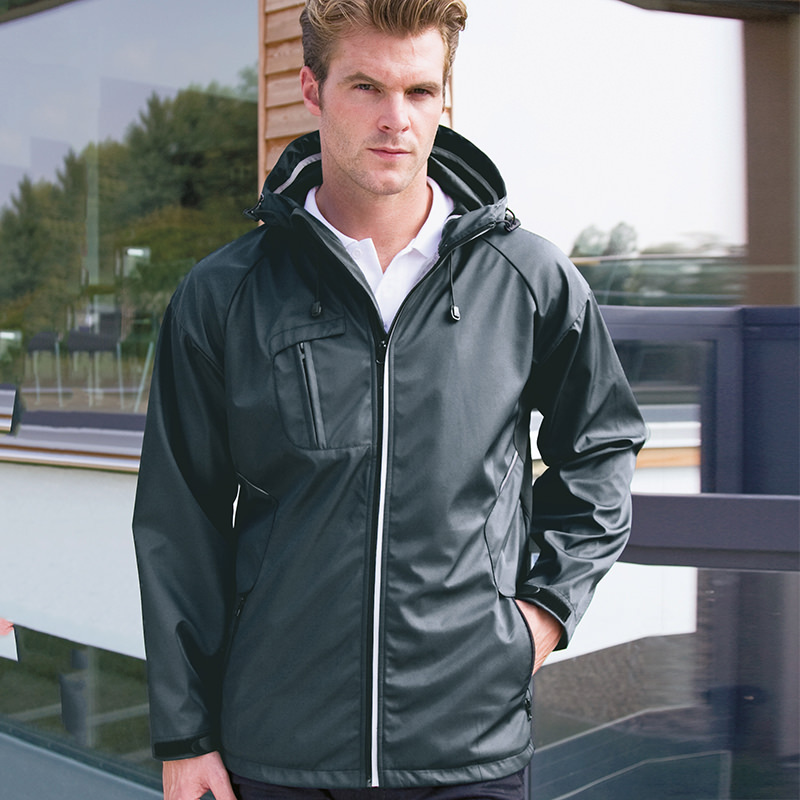 TPU membrane provides breathable, water and wind proof protection. Soft, high stretch fabric. Comfortable active fit. Fabulous tactile feel texture. Waterproof fabric 3000mm, breathable 3000g, windproof.DecorationGuidelines:Decorating methods: Embroidery. Decorators access point: Inside left chest.